Know how yogurt can be beneficial for your health. The medical properties of yogurt makes our body healthy and strong.Yogurt is considered more beneficial and nutritious than milk.Calcium also contains more than milk in yogurt,therefore people who do not like to drink milk,yogurt is a great option for them.By taking yogurt,your digestive system become much stronger,which also increases your appetite.Read the following points to learn about the other benefits of yogurt. Heart disease is quite dangerous.Yogurt has the ability to treat heart related problems.Eating yogurt reduces bad cholesterol and also benefits in hypertension and kidney diseases. Yogurt has the ability to shine hair and skin.Yogurt is used in the form of softening of hair,forming a natural conditioner.In addition apply yogurt face pack for beautiful glowing skin.Yogurt also useful in getting relief from the skin's oily properties. Many times people have to face a lot of trouble because of their mouth ulcers. #In this way yogurt ends your problem.If you add honey in the curd and put it on the blisters or take it with food,you will get plenty of relief in the mouth ulcer.With this you will also get enough nutrients. 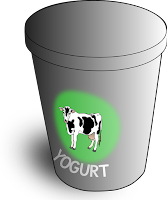 Stomach heat also raises many health problems and yogurt is considered to be the best way for remove stomach heat.Consume more yougurt in summer,you will get lots of health benefits. Obesity is a big problem today but it is also the root cause of many problems.In obesity additional fat is accumulated in our body.But eating yogurt does not cause fat.Apart from this,cholesterol is also controlled by eating yogurt.There are many benefits of yogurt also in blood pressure problems. Yogurt can provide great relief in hemorrhoids.Taking a little mixing of ajwain in buttermilk,it gives a lot of relief in the hemorrhoids. Yogurt highly loaded with vitamin B12 which is very beneficial for mental health.Yogurt is directly related to the brain health,you will be surprised to know that those who include yogurt in daliy diet are less complaining about stress. By eating yogurt every day,our immune system become more strong and increases body capacity to fight with diseases.